Golf is social. 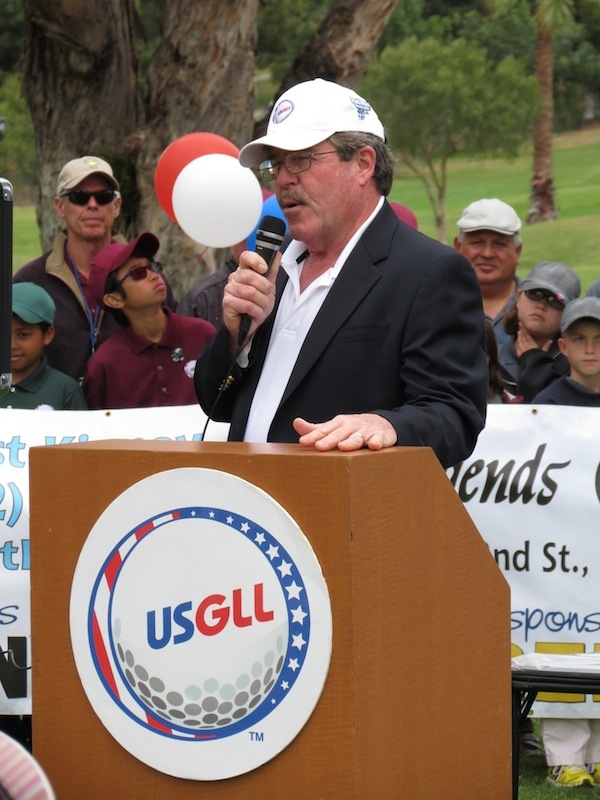 Kevin Flanagan is the President of the USGLL which is a golf league for juniors. Kevin talks about the social aspects of golf and how golfing can help bring people together. Learn how Kevin is helping to grow golf by listening to Episode 60 of the Defining Success Podcast. 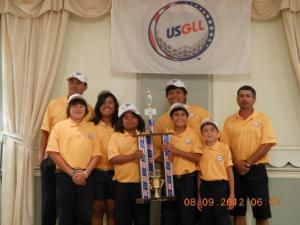 USGLL, Inc, is a non-profit organization dedicated to providing national team competition for young golfers. Since 2008, their Team Match Play format offers boys and girls, ages 6 to 18, the opportunity to compete at all levels. Players receive instruction in the etiquette and rules of golf, learn mutual respect and teamwork and develop important social skills. These relationships and sense of integrity are a solid platform that will last them the rest of their lives. Kevin was in the trade show and transportation industry for over 20 years. Once he retired he decided to get involved in golf and became a teaching professional. He realized that a lot of young golfers were leaving the game. He approached the city and said he wanted to start a golf little league and they worked on a way to figure out how to manage it. The USGLL opened in April 2008 and now Kevin is running the business and the USGLL is growing rapidly. The USGLL is trying to get more and keep more kids in the game of golf. We’re targeting the 85 – 95% of the kids who haven’t had the opportunity to expose kids to the game. The matchplay format helps young kids and parents understand the game. One of Kevin’s mentors, Tom Addis, the president of the Southern California PGA and a former president of the PGA. And he asked “What are you going to do to grow the game?” Kevin really took that to heart and he decided to start this junior program. The biggest obstacle Kevin faced was missing out on money that was promised to him before the economy tanked in 2008 for the USGLL. He then committed to multiple programs and faced a lot of roadblocks due the economy. Currently, other programs have started up which are similar to Kevin’s, but they’re taking away from the focus of the USGLL. Kevin is always looking for sponsors to see how they can make golf affordable for some of the parents. Some companies realize if they get a kid interested in golfing when they are young that there is a lot of potential for their businesses. When Kevin was in business, you could decide on the golf course whether you wanted a guy to go in business with. It’s a sport that all ages and all groups can play together. The first child that teed off in the USGLL program in 2008. He made multiple All-Star teams and lost his father last year. They mentored him in the program and the child is going to be their first inductee into the USGLL Hall of Fame. Another girl, who’s a freshman is playing in the finals in High School. The national website is being changed over so it will be a lot easier for golfers to get in. 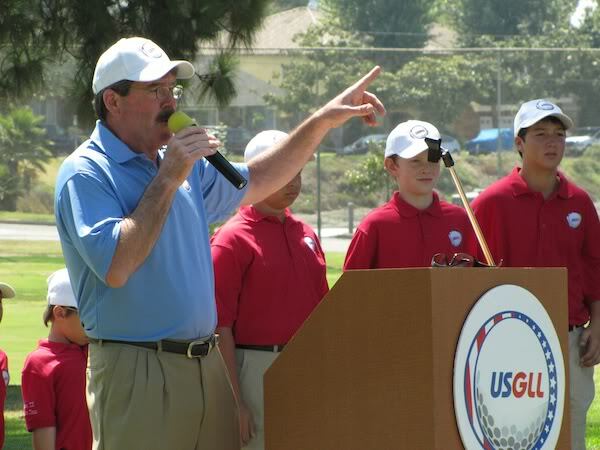 Parents can go to the USGLL.org to work to set up a golfing program for younger golfers. How important do you think being social can help a business? Do you think golf is social? Between golf courses and golf players, we’re losing (golfers) left and right. This entry was posted in Episode 060: Golf is Social | Kevin Flanagan President of USGLL and tagged Defining Success Podcast, Golf, Golf is Social, Golf Little League, Golfers, Kevin Flanagan, LPGA, NGCOA, Non-Profit Organization, PGA, PGA President, Southern California PGA, Team Match Play, Tom Addis, USGA, USGLL, USGLL Hall of Fame, Young Golfers on January 27, 2014 by Zeb Welborn.